We're in the 10th month (even though it's called the 8th month, because calendars are weird like that) of the Year of New Editions and there's still some releases to be made. This time around, it's an expansion book. We got Bolt Action 2nd Edition (Bolt Harder) earlier this year. Warlord said that all the army books currently out were still going to be valid. However, looking over the Armies of Germany book, which was the first one released four years ago, they saw that it could use a bit of updating, itself. So, what's changed? Well, there's certain things you'd expect like a general clean-up of rules wordings as well as some point cost adjustments to various units. They've also updated the army special rules for Germans, including showing a bit of the discipline of the German troops, as well as the superiority of some of their weaponry compared to the Allies. 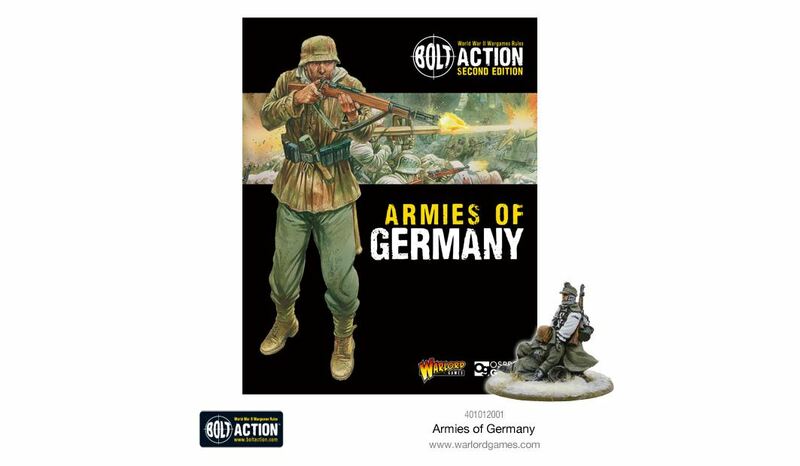 They've also added in new units that had been subsequently released in other books since the original Armies of Germany release.